The Hansavedas Mission through its nonprofit platform offers seekers and readers a rare glimpse into the authentic spiritual traditions of Vedic antiquity through its current and forthcoming book publications. Deep meditation on the Sanskrit verses/aphorisms of cardinal philosophies and monastic inquiry methods using traditional holistic learning have led to spiritual insight behind our emerging published book collection. Our head monk, His Holiness Swami Vidyadhishananda offers meditative and scholarly insight on topics such as: meditation, spirituality, holistic learning, and Ayurvedic wellness. Years of scriptural research, contemplative rumination and image collections culminate in these exquisite publications. First released in 2014, this comprehensive workbook inspires seekers to lead a lifestyle of vitality, conducive to mindful living and harmonious with the natural principles of life. The workbook was first introduced as reading material to supplement the direct instructions in a retreat. All the relevant details for a daily discipline towards a meditative lifestyle are captured in a structure that resonates with the four pillars of the Hansavedas gateway. Life Principles, Life Energy, Life Resource and Life Fellowship constitute the four major chapters of this workbook. Furthermore, the section on Life Energy about prāna is further delineated into four pillars: Biorhythms, Balancing Breath, Balancing Drinkables and Balancing Edibles. 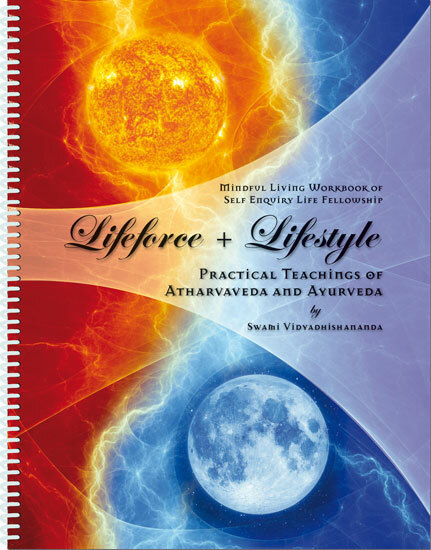 Teachings in this workbook draw upon careful interpretation and practical experience from translating the Sanskrit scriptures on Atharvaveda and Ayurveda. Subtle concepts and practical applications of agni (positive ion or fire principle) and soma (negative ion or the principle of subtle nectar in moonlight, mist or micro-hydrated water) are recurrent themes, and thereby embedded as hints in the presentation on prānic replenishment. The sections develop the contents in alignment with the innate urge (ājihirshabodha) for breath, thirst and hunger. This division is due to nourishment in the three forms of air, drinks and edibles; and the desire for breathing, quenching thirst and satiating hunger, which is the main function of prāna. Furthermore, the prāna calendar is readily embraced by understanding the biorhythms that help us maintain balance. 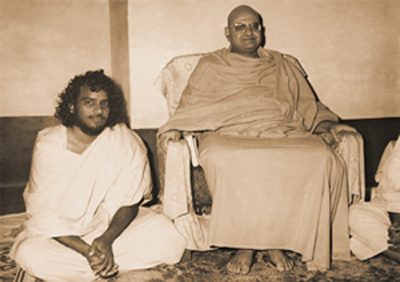 The presentation style is based on the curriculum teachings by His Holiness Swami Vidyadhishananda through the fellowship classes of Self Enquiry Life Fellowship and the Hansavedas sangha. The intention is to articulate a lifestyle of vitality rooted in mindfulness and compassion as rendered by the classical teachings from ancient lineages of meditation. The Workbook is now in its Second Edition and the goal is to expand and refine the teachings and style of presentation. This will be a historical book for a curriculum or personal study – featuring contemporary and antique photographs of Himalaya and Ganga. The book will reveal how Ganga embraces Himalaya and pours the melted wisdom while conferring its liberating grace before merging into the seas. The author Swami Vidyadhishananda, who undertook deep meditation in the Himalayan terrain of Garhwal and Kumaon, trekked and visited many places featured in this book. The book will contain about 200 images related to the mountains encapsulated within the entire headwaters of Ganga and down to the Ganga delta in Bay of Bengal, showing major pilgrimage sites along the way. 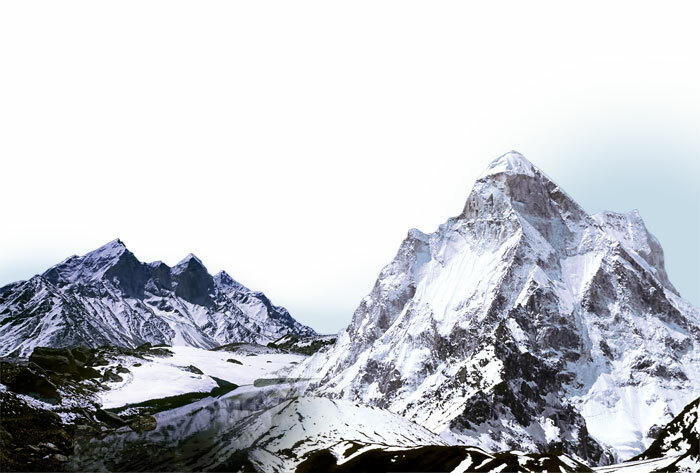 The book will feature antique and modern photographs of Himalayan Mountains and the river Ganga. Geographically significant Sanskrit references will be appended to the images. The book will showcase rare arts to outline Ganga’s impact on the popular Sanskrit tradition which came into prominence after the Vedic Sanskrit era of the Saraswati river civilizations. The book will also attempt to highlight how the magnificent Ganga shapes the Indic ethos by revealing the Himalayan Sanskrit heritage of the Mountain Path. Each right-hand page will display a full bleed photograph with detailed reference notations (figure legend) and credit line. On the left page will be an English annotations and translated references from Sanskrit geographical texts corresponding to the images on the right page. 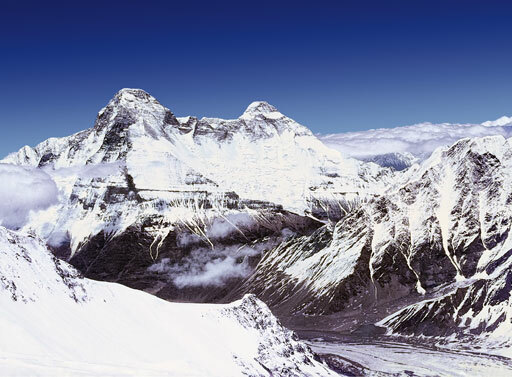 The majority of images will display mountains ranging from Yamunottari to Mount Kailash. All the rivers and rivulets (including Gauri-kundam at Kailash) are linked physically or metaphorically with Ganga. This defines the Mountain Path of the ancient yogis, mystics and monks of Himalaya, which is a repository of popular Sanskrit-based tradition. The repertoire of Veda-mantra Sanskrit comes from the era of the Saraswati river which has mostly dried up since the Mahabharata war. Thereafter the River of Knowing ethos shifted from Saraswati to Ganga. It is significant that all rivers merging into Ganga (including trans-Himalayan ones) must lose their own name and become Ganga. The acquisition and research of Himalaya imagery and satellite maps have been underway for several years now, and the book is expected to be released in 2021 or 2022. Your donation supports the entire lifecycle of our book publishing efforts. From research, writing, editing, image acquisition and permissions, image editing, layout and design, and promotion efforts, there are many components that make a book the exquisite resource it is intended to be. Not only does your donation support future and forthcoming book projects, you also support revisions and new editions of previously released books.